Just since our last conference the popularity and public interest in Genetic Genealogy has seen a formidable explosion. Genetic Genealogy quickly became a household name once the techniques developed by CeCe Moore and her team was used to solve decades old violent crimes. Data bases have mushroomed as Genetic Genealogy has gone from exclusive or elite, to mainstream. This begs the question; what will the next 12 months hold for Genetic Genealogy? How are the testing companies preparing for continued explosive growth? 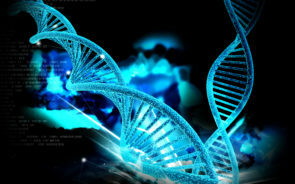 How can we stay on top of the latest advancements in this field, including the most comprehensive and most effective techniques for the successful application of DNA testing to genealogy available now? This and so much more was the theme of i4GG 2018. Hosted by CeCe Moore’s DNA Detectives the i4GG 3-day Genetic Genealogy conference kicked off with a “company” day Friday December 7 when the major DNA testing companies owned the stage. This was followed by two full days December 8 and 9, 2018 in San Diego CA. 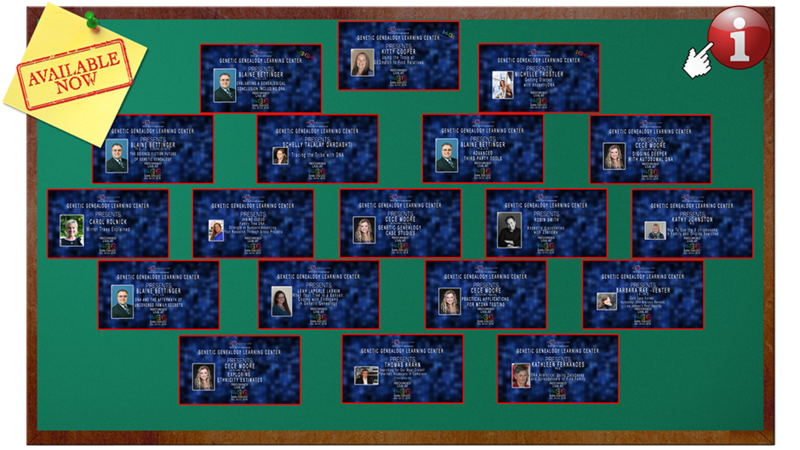 As is i4GG tradition, the conference covered the most cutting edge Genetic Genealogy methodologies for any genealogy application, including unknown parentage. The talks at i4GG was professionally video recorded are provided free of charge to those who purchase tickets for the three days. The recordings are now available for purchase at $99 for all videos, or $10 for purchase of individual video recordings. Newbie or Pro, makes no difference, at i4GG there is something for everyone. 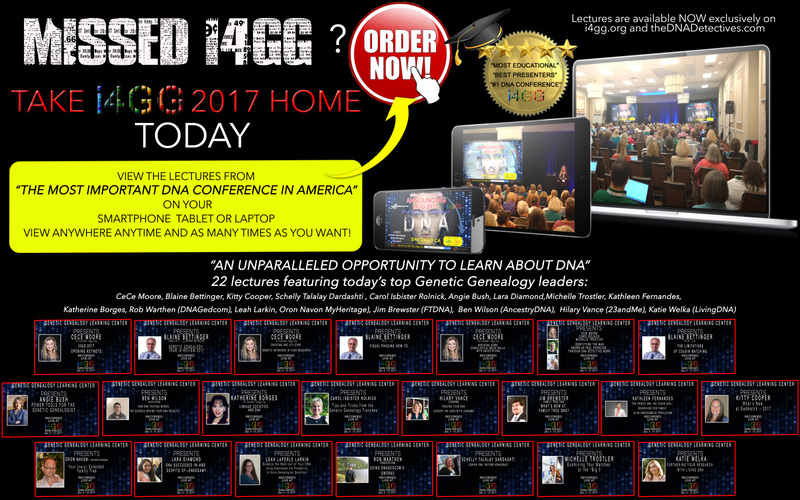 i4GG has been called “the most important DNA conference in America” and we will strive to live up to this esteemed repute.